OK, we admit, we love gazing at cool, money-themed rarities such as an 18-karat solid gold and jewel encrusted Monopoly set, a certificate from the first federal bond issue signed by President George Washington and an original ticker tape from the Crash of 1929, all of which are on permanent exhibit at the Museum of American Finance. But this week we’re also extremely excited to be attending the launch of their new exhibit “The Fed at 100,” because we had so much fun helping them create this beautiful installation. 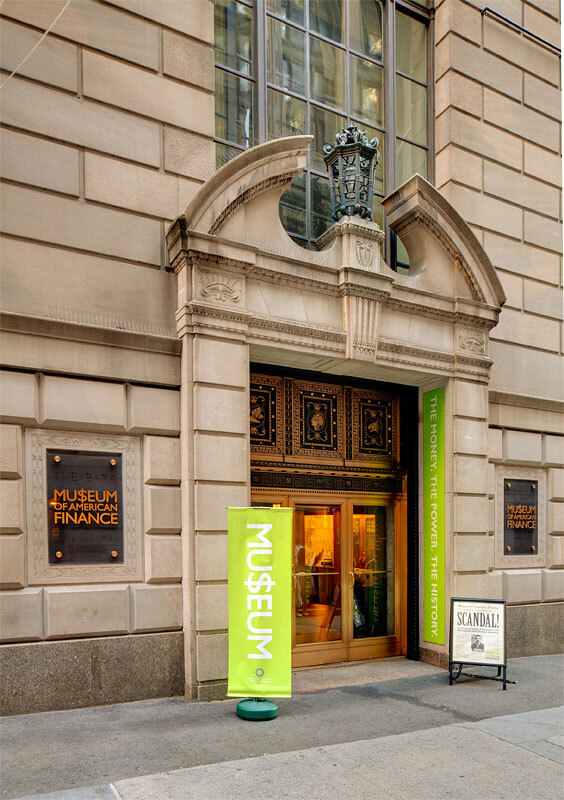 Located in a gorgeous historic landmarked bank building on Wall Street, the MOAF is a gem. A Smithsonian affiliate, it’s the nation’s only independent museum dedicated to preserving, exhibiting and teaching about American finance and financial history. The magnificent grand mezzanine banking hall provides an ideal setting for permanent exhibits, and they offer a dynamic program of rotating exhibits such as the one we just helped install, which will be on display to the public from September 25th until October of 2014. 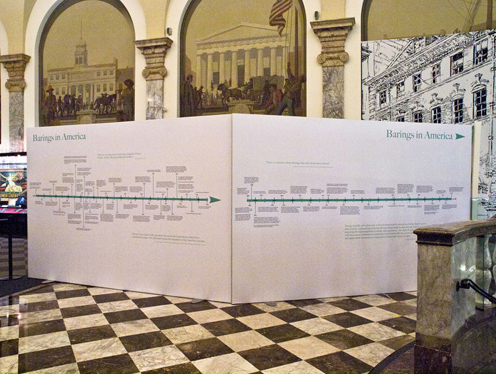 The new exhibition will illuminate the complex workings of the nation’s central bank and the pivotal role it has played throughout the history of American finance. 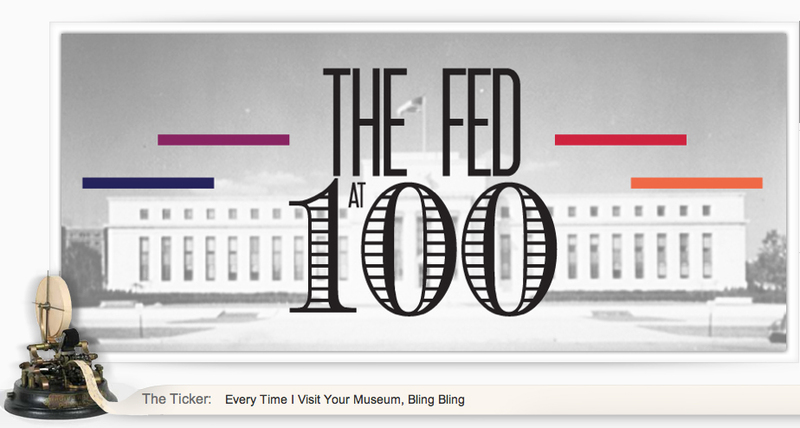 “The Fed at 100” will be the Museum’s largest exhibition to date and will encompass three galleries and a theater in a unique visitor experience designed to provide a firsthand view of the Fed’s inner workings. It will include an audio tour of 100 objects representing different facets of the Fed, and visitors will even be invited to enter and explore the offices of people who play critical roles in designing policy and overseeing the central bank. This great museum is not just a New York tourist destination, it is a national treasure. Go soon, take your children and have fun learning about the financial history of our great nation in heart of its financial district. Maybe we’re a bit nerdy, but we love how they describe their mission: As a chronicler of American financial achievement and development, the Museum seeks to play a special role as a guardian of America’s collective financial memory, as well as a presenter and interpreter of current financial issues, thereby connecting the past with the present while serving as a guide for the future. As any economist will tell you, that’s a wise way to look at finance. Images in this post courtesy of Museum of American Finance, highresolution printing, Federal Reserve Bank of New York, The Library of Commerce, the Woodrow Wilson Presidential Library, Stuanton, Virginia and the U.S. Bureau of Labor Statistics.